Cuts to Medicaid. Cuts to food stamps. Cuts to student loans. Cuts to federal worker retirement programs. President Trump’s budget is a significant betrayal of the working people he claims to support. It’s a blueprint for how to rig the rules of the economy to favor the wealthy and corporations, while taking away our freedoms and protections at work. The proposals presented in this budget defund core programs that are vital to working families, including $1.5 trillion from Medicaid, $59 billion from Medicare and up to $64 billion from Social Security. It strips funding for workplace safety research by 40% and totally wipes out health and safety training and investigations of chemical accidents, putting more working people at higher risk of dying on the job. It starves our children of the education they deserve by cutting $10.6 billion in education and $143 billion in student loan funds that help students afford college. And it forces a 6% pay cut on the people who make our government work. Simply put, the budget is unacceptable. It imposes significant cuts to programs working people depend on to justify massive tax cuts for the wealthy and corporations. On Friday, 40,000 AT&T workers, members of the Communications Workers of America (CWA), walked off the job on a three-day strike to protest the company's failure to invest in good jobs with a future at AT&T wireless, wireline and DIRECTV. The groups striking represent working people in 36 states and the District of Columbia. This is the first time AT&T wireless employees have gone on strike. 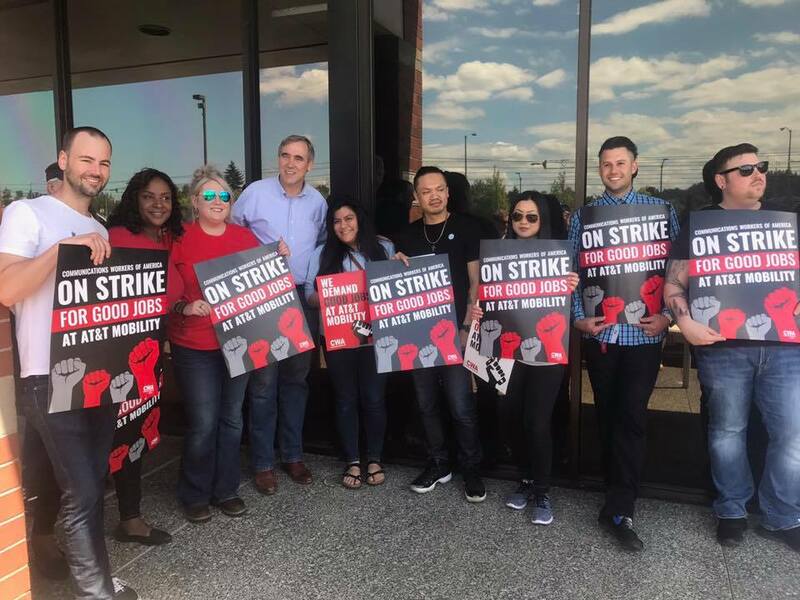 In Oregon, working people and unions mobilized to support the striking CWA members. We are thankful that US Senator Jeff Merkley joined us to show his support! 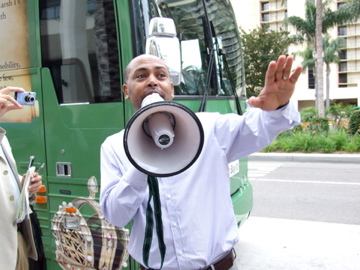 AFL-CIO Executive Vice President Tefere Gebre was featured today on the Huffington Post, where he explains why voter suppression and disenfranchisement are serious threats to our democracy. Click here to read Vice President Gebre’s article.